What is Pre-Move Survey and Why its Important? It is always a sensible decision to get estimates or enquiry guide prices for your relocation at a new destination. To do this correctly, you should ask for a pre-move survey. The survey is a correct way of obtaining information to prepare a quotation for your move. 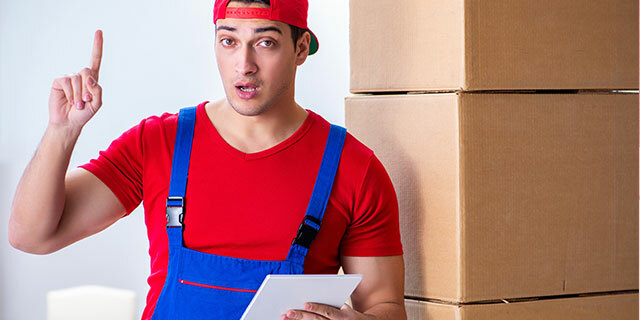 If you hire a reliable Moving company, they will send their expert team who will reach your house at a discuss time and date during the call. He will examine your home with you from beginning to endpoint room by room basis, observing and they will make a list of the items you would like to move. On the actual discussed date and time, the mover's team will visit your home, and they will make a note of all the items you want to shift. There will be many unnecessary things which you are not planning to take with you at the time of the move, so discuss with them to avoid stress at the time of Packing your goods. You can also confirm the details such as date of shifting, delivery time duration, quality of packing materials required, any extra services needed, insurance services, and warehouse requirements (if needed). Once you discuss all your shifting requirements like the actual volume of your goods, required services, the moving company will provide you with the exact charges for shifting your goods. You can discuss with the mover face to face and know how they will complete your whole shifting process. You can also clear all your doubts regarding charges, any hidden cost which is not mentioned in your quotation. Ask them whether they will provide you with warehouse services or not. ( if you are having long distance shifting). It's better to discuss with them in the beginning, if you want any additional services like; assembling, reassembling of your furniture etc. This service is free; it is provided by all reliable moving company to complete the shifting service correctly after understanding the whole requirement. If you have completed your survey, it's not necessary that you have to move with that company only if you are not sure about its reliability or you are facing any other problems. It’s always good to compare different movers and then hire who is suitable for your move.